Naval experts from around the world are meeting in Cartagena, Colombia, for the Operations and Technology (OPTECH) South 2017 conference. The event is being conducted by the U.S. 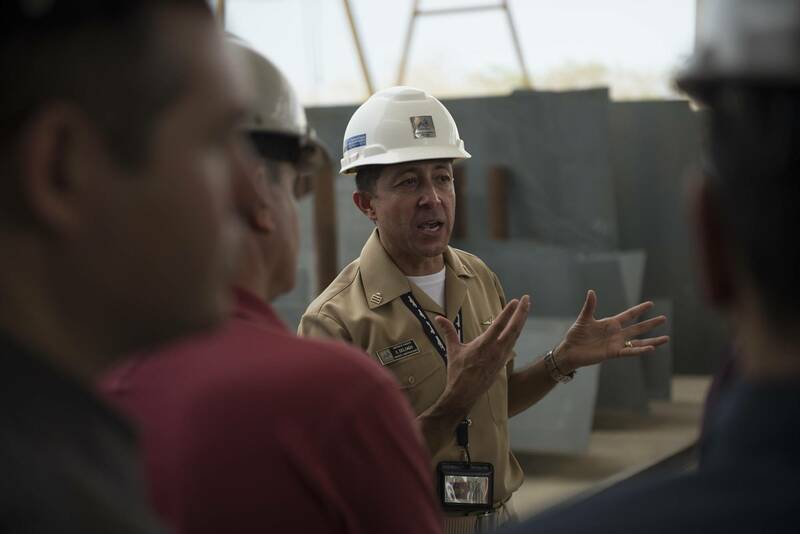 Naval Postgraduate School’s (NPS) Littoral Operations Center (LOC), supported by the Office of Naval Research-Global and the Colombian Naval Science and Technology Office and Swedish defense company Saab. The littoral is the complex “near shore” environment where hydrography, geography, commerce, fishing, mining, boundaries, maneuver and sustainment issues converge, and which places exceptional demands on naval, aerial, and land forces that must operate, fight, and influence events there. The LOC was created at NPS to promote the study of U.S. Navy and allied and partner nation policy, strategy and technology necessary to deal with conventional, irregular and criminal threats in these crowded and cluttered coastal waters and their adjacent lands; to build greater competence in the U. S. Navy for fighting in restricted waters such as the Baltic, Aegean, Arabian Gulf, and China Seas; and to understand other nations’ capabilities to compete in interactions between land and sea across a littoral coastline. Previous LOC workshops and OPTECH conferences in the U.S., Sweden and Japan, have brought together other nations and industries around the world with similar interests in fighting where surprise attacks with missiles, aircraft, submarines, unmanned systems, and mines would be frequent and deadly, as well as to gain familiarity with the different kinds of tactics and technologies needed to defeat transnational threats. 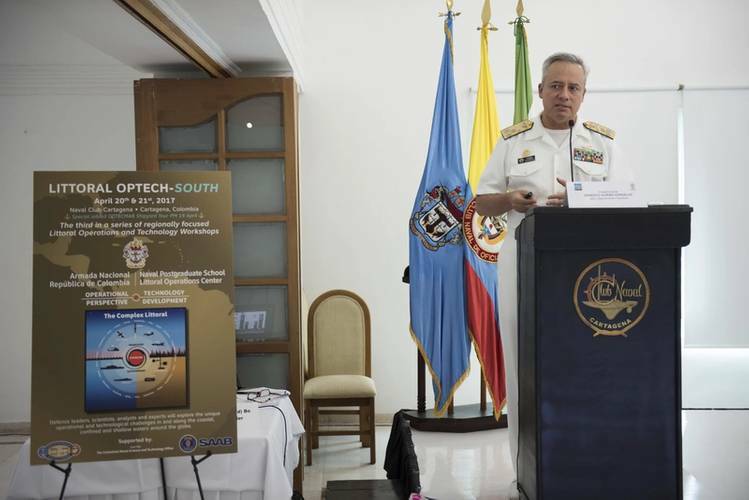 With the theme of “transnational threats and cooperation in the littorals,” the objective of OPTECH South has been to develop cooperative and technologically advanced ways impede kidnappings, drug running, and prevent other transnational threats and crimes in the Western Hemisphere that are affordable and sustainable. 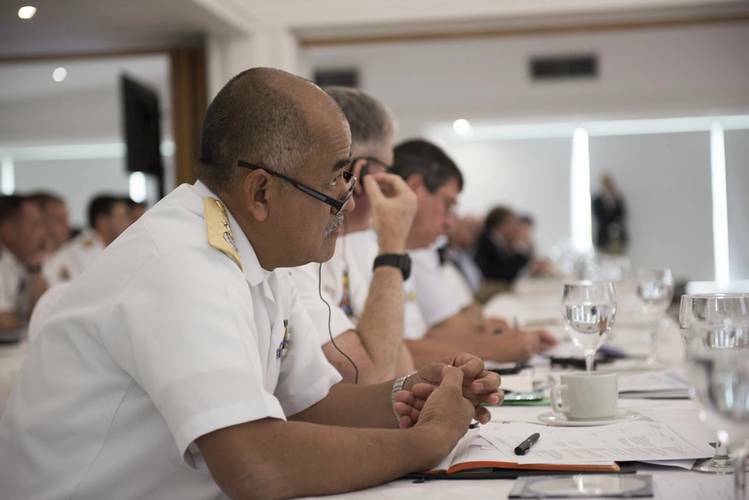 Keynote speakers included Vice Adm. Leonardo Santamaria Gaitan, Commander, Colombian Navy; Rear Adm. Brian Hendrickson, Director, Theatre Engagement (J7), U.S. Southern Command; Vice Adm. Ernesto Duran Gonzalez, Chief of Naval Operations, Colombian Navy’s Strategic Direction; VADM Jorge Enrique Carreῆo Moreno PhD, President, COTECMAR, a public-private partnership that designs, builds and repairs ships and craft for navies and the maritime industry; and Almirante Bento Costa Lima Leite de Albuquerque Junior, Director General for Nuclear and Technological Development of the Brazilian Navy. A tour of the COTECMAR shipyard was conducted prior to the conference. Panel discussions focused on regional cooperation to address transnational threats; C4ISR and networks; disruptive technologies; surface operations and trends; underwater challenges and opportunities; and maritime security technologies across ashore, such as the challenges of mines and explosive remnants of war. “There needs to be a paradigm shift to get rid of unexploded ordnance so communities can more quickly get back to a sense of normality,” said retired British Army Lt. Col. David Leigh, now of Kareem Service Ltd.
“All the pieces are here--from ships to intelligence to the environment--for Columbia’s Navy to build upon their ability to be dominant in their sovereign waters,” said Dave Forster of General Dynamics Mission Systems, who delivered a presentation on underwater sensor networks. “From the point of view of the LOC, we have always thought the experience of other nations was important because you have reason to focus on your own coastlines and nearby seas while the US Navy has been used to either retaining sea control in the open oceans or projecting the power of U. S. air and missile strikes, Marines landings or Special Forces operations on the land side of the littorals. Therefore, we sponsor these conferences very much to listen and to learn,” said Hughes.